Wojciech Sikora is a Registered Massage Therapist who graduated from Kikkawa College (Hons) in 1996. He is also a 1990 graduate of The Physical Education Academy in Poland with a Master’s degree in teaching. 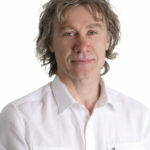 Wojciech is passionate about educating his clients and empowering them to take control of their own health and well-being. With a strong academic background and many years of clinical experience, he strives to provide custom treatment by providing a relaxed environment and listening and being mindful of each individual’s needs. Wojciech has experience working and rehabilitating clients who have recovered from surgery, accidents, sport injuries, car accidents, chronic pain, vertebral disc issues and many other injuries. He integrates traditional Swedish massage with trigger point therapy, deep and soft tissue massage, joint mobilizations and myofascial release techniques. In his spare time, Wojciech enjoys travelling, canoeing, camping in the wilderness and skiing.